From the bestselling author of There Are No Children Here, a richly textured, heartrending portrait of love and death in Chicago's most turbulent neighborhoods. The numbers are staggering: over the past twenty years in Chicago, 14,033 people have been killed and another roughly 60,000 wounded by gunfire. What does that do to the spirit of individuals and community? 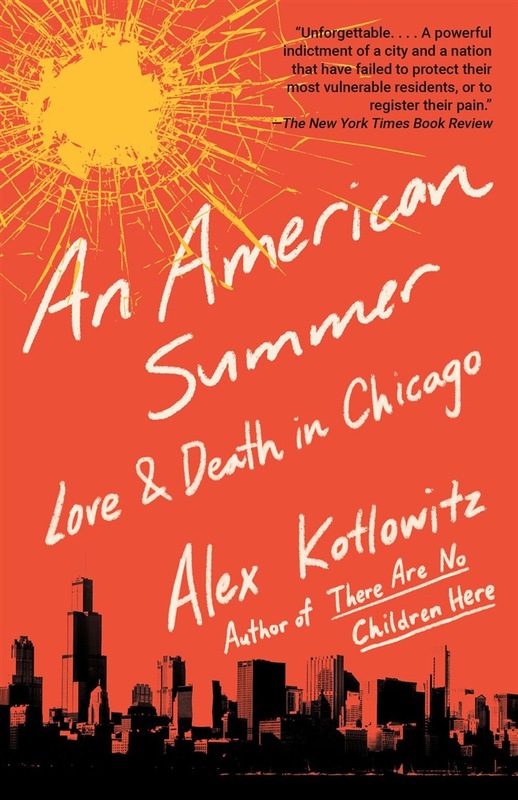 Drawing on his decades of experience, Alex Kotlowitz set out to chronicle one summer in the city, writing about individuals who have emerged from the violence and whose stories capture the capacity--and the breaking point--of the human heart and soul. The result is a spellbinding collection of deeply intimate profiles that upend what we think we know about gun violence in America. Among others, we meet a man who as a teenager killed a rival gang member and twenty years later is still trying to come to terms with what he's done; a devoted school social worker struggling with her favorite student, who refuses to give evidence in the shooting death of his best friend; the witness to a wrongful police shooting who can't shake what he has seen; and an aging former gang leader who builds a place of refuge for himself and his friends. Applying the close-up, empathic reporting that made There Are No Children Here a modern classic, Kotlowitz offers a piercingly honest portrait of a city in turmoil. These sketches of those left standing will get into your bones. This one summer will stay with you. Acquista An American Summer in Epub: dopo aver letto l’ebook An American Summer di Alex Kotlowitz ti invitiamo a lasciarci una Recensione qui sotto: sarà utile agli utenti che non abbiano ancora letto questo libro e che vogliano avere delle opinioni altrui. L’opinione su di un libro è molto soggettiva e per questo leggere eventuali recensioni negative non ci dovrà frenare dall’acquisto, anzi dovrà spingerci ad acquistare il libro in fretta per poter dire la nostra ed eventualmente smentire quanto commentato da altri, contribuendo ad arricchire più possibile i commenti e dare sempre più spunti di confronto al pubblico online.